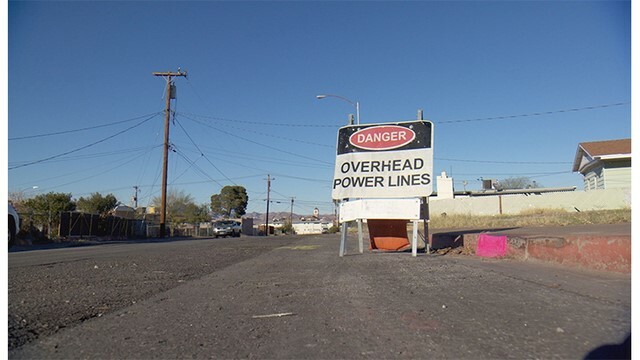 LAS VEGAS – Investigators have yet to determine what caused a power line to snap and fall into a Henderson family’s backyard. The unusual event caused the electrocution death of 56-year-old Jeffrey Carter. His family was devastated by the loss and are asking if the electrical system in their part of town is safe. At the corner of Basic Road and Gold Street in old town Henderson is a warning sign you don’t often see. It alerts motorists to low hanging power lines. Lines that hover just feet above yards and alleys are not unusual in the neighborhood of single-family homes built in the 1940s and 1950s. The power poles look like they’re the originals from 50 or 60 years ago. Many have been secured or tethered to keep them from toppling over. Protective coating hangs from power lines like skin that’s been shed. “Yeah, some of them are pretty low but we always figured if something was wrong, they would fix it,” said Bethany Carter. She grew up in a modest house on Tungsten street. One of five kids. Her dad, 56-year-old Jeffrey, was the rock of the family. 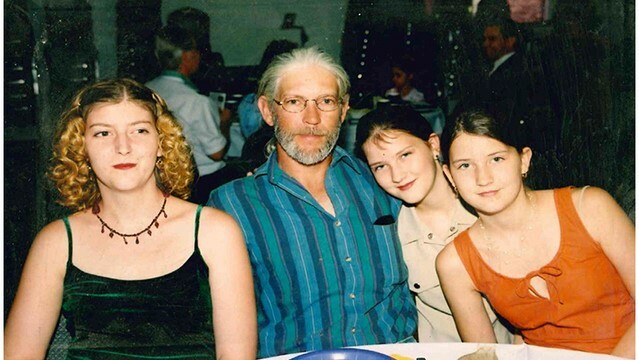 “Everyone in my family came to my dad if they needed help. My cousins, aunts, uncles, anyone that needed help, they needed someone to talk to,” she said. In the early morning hours of Nov.19, a neighbor spotted a fire in the Carter’s backyard. Within minutes, Jeff Carter was out in the yard, using a garden hose to douse the flames. In the darkness, he didn’t see the power line that had fallen in the yard. A neighbor warned the family to stay back. The ground itself was electrified. When emergency personnel arrived, they also had to stand back. Bethany says, because the line was still live. By the time they got to Jeff Carter, he was gone. Bethany’s mom gave her the news. “This just doesn’t happen. I’ve been in the business 30 years and have never seen a service go down in this way and impact a community in this way,” said COO Kevin Garrity, NV Energy. Garrity is the person who made the difficult call to the Carter family to offer condolences. The incident rippled throughout his company. Garrity says the company is still investigating the cause of this incident. He acknowledges the lines, poles, and equipment in that part of Henderson are old, but says age is generally not a factor when it comes to safety. “Just because it is original doesn’t add to or take away from its reliability. To answer the question, we continually measure our reliability everywhere at all levels, whether local service or transmission and age or simply succumbs to Mother Nature over time is not a primary driver of a system or its reliability,” he said. The company says power lines hang low over homes because that’s how the houses were built, and many of the liens are for cable or phone, not power. 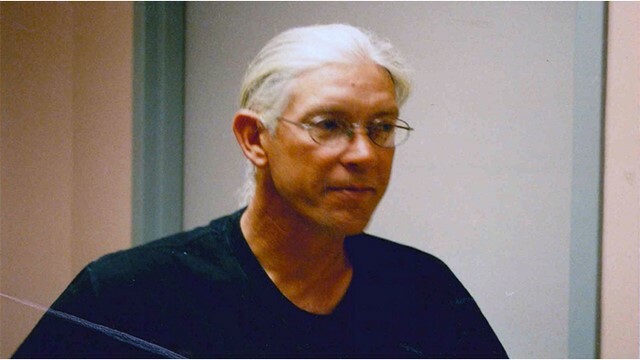 After Jeff Carter died, the company submitted a one-page accident report to the Public Utilities Commission of Nevada. The root cause was left blank. “It is apparent that these elements in this neighborhood have aged and deteriorated to the point of failure, and that failure has manifested itself in different ways,” said Dan Carvalho, attorney for Carter family. 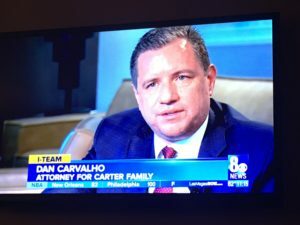 Carvalho has not filed a lawsuit. He says NV Energy has been open and cooperative in talking about the incident. “That is never something intended by NV Energy. That is what makes this so tragic. This was not Hurricane Irma that brought this line down into the Carter’s back yard. It was not an animal. It was not a tree that caused it to fall down,” he said. Both the law office and the power company continue to investigate. As for the family. “I spent my entire life in that house and I can’t even go into my own backyard,” Bethany said. NV Energy says the public should always assume that any downed power line is dangerous. They urge residents to call if they see any potential problems in the system. The company is involved in ongoing talks with the Carter family. 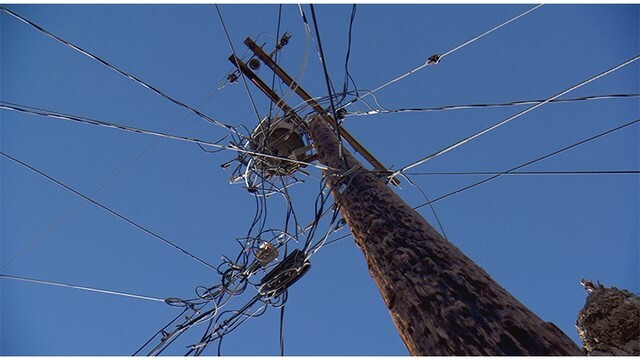 The I-Team has requested public records about the reliability of electrical service in that part of Henderson and will have more information as it becomes available.